One thing I like about a Beef Tenderloin steak is that it’s simple to cook. You don’t have to get fancy because the goal is to get that great flavor of the beef to shine through. 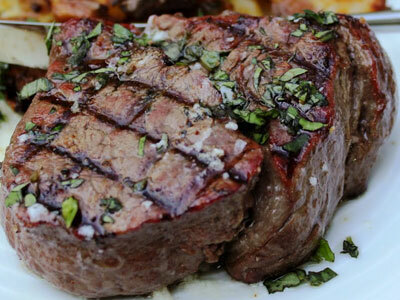 And so today I’m going to share a mouth-watering steak recipe for George Foreman Grilled Beef Tenderloin Steak. Blend all the seasoning along with minced garlic in a small bowl and add rub to the steak. Preheat your George Foreman Grill with the lid closed for at least 5 minutes. Use high settings if you have it. Add the steaks to the grill and cook for around 15 minutes to get the desired tenderness. Flip the steaks every 2-3 minutes until you get the desired doneness. 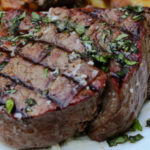 This George Foreman Grilled Beef Tenderloin Steak recipe can help you make restaurant-quality delicious steaks at home. Very tender and juicy. Love it!